CUNY New York City College of Technology, known as City Tech, has generally accessible admissions, with just around three-quarters of applicants accepted each year. To apply, students are required to submit an application, test scores from the SAT or ACT, high school transcripts, and a writing sample. Check out the school's website for more information, and to contact the office of admissions with any questions. 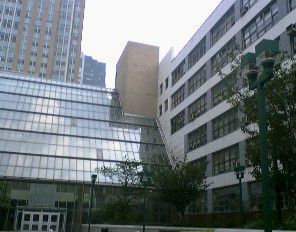 City Tech, the New York City College of Technology, is a public university and member of CUNY located in Brooklyn. The college focuses entirely on undergraduate education and offers 29 associate and 17 bachelor degree programs as well as certificate programs and continuing education courses. The college has been expanding its 4-year degree offerings in recent years. Areas of study are mostly pre-professional in nature such as business, computer systems, engineering, health, hospitality, education, and many other fields. Most students are commuters, and the college prides itself on the diversity of the student body. "New York City College of Technology is the designated college of technology of The City University of New York, currently offering both baccalaureate and associate degrees, as well as specialized certificates. New York City College of Technology serves the city and the state by providing exceptionally proficient graduates in the technologies of the arts, business, communications, health and engineering; human services and law-related professions; technical and occupational education; and liberal arts and sciences. The College provides access to higher education for New York City’s diverse population and assures high quality in its programs by a commitment to outcomes assessment. The College also serves the region by developing partnerships with government agencies, business, industry, and the professions, and by providing technical and other services."